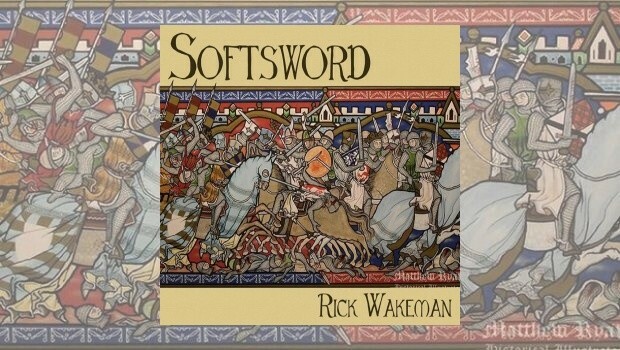 As with previous Rick Wakeman’s works, Softsword takes its concept from medieval English history and here the inspiration is drawn from the life of King John and the events surrounding the signing of the Magna Carta. The album title is derived from John Softsword, a nickname afforded to the king, by his barons and chroniclers of the period, for his more lenient approach. 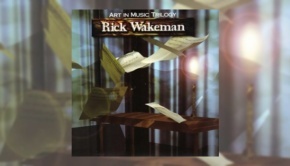 Recorded in 1991 and following a commission “to compose music for the finale of the 1991 Dickens Festival at Rochester on Medway in Kent” Rick went on to remould the original pieces into the songs and instrumentals that make up Softsword. Joining him on the album are Chrissie Hammond (Vocals), David Paton (Guitars & Bass), Anabel Blakeney (Gemshorn) and Stuart Sawney (Percussion Programming). 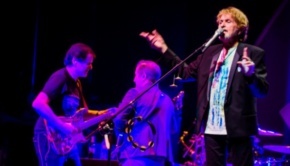 With such a subject matter you might expect an album akin to the 1975 classic, The Myths And Legends Of King Arthur And The Knights Of The Round Table and although some strong references are evident, and it is unmistakably Rick Wakeman, it doesn’t quite possess the same regal majesty (sorry ;0) of the Arthurian legend. A more austere budget, the somewhat programmed and dare I say, home recording nature of this album does leave you with “what might have been” thoughts. Reading Rick’s thoughts on Softsword it appears I am not alone here. The album opens with a twelve minute Magna Charter and musically is in keeping with Rick’s 70s progressive output. Full of pomp and ceremony, a mini epic complete with a multitude of keyboard layers, recurring themes and strong melodies. Now at this point and to be perfectly truthful, The Six Wives Of Henry VIII still remains my favourite Rick Wakeman album, as not only does it contain some of Rick’s best work, but because it is entirely instrumental. Which brings me to Chrissie Hammond who undertakes the vocal performances on the opener and across the album. Now through the years ‘the vocalists’ have been a somewhat mixed bag, including Ms Hammond, however I’m happy to report she turns an equitable performance here. Despite the lack of a full band and the rather nauseating drums, Magna Charter is a strong opening statement and certainly ranks well within the Wakeman library. Sadly the same cannot be said of After Prayers which at best is a listenable, if not great pop ballad, but totally out of context with what has gone on before. The up-beat and catchy instrumental Battle Sonata fares a little better although the ‘of their time’ keyboard sounds do make me wince, especially the panpipes. As with the previous track it is the keyboard sounds that make The Siege somewhat disappointing, despite David Paton’s guitar work and those sections where Rick reverts to church organ. It could have been a quirky interlude, similar to Merlin from The Myths…, but as it stands it falls a little flat. The brief Rochester Collage returns more to the concept of the album and again more in keeping with earlier works, however this is in stark contrast is truly horrid and cliché ridden The Story Of Love [King John], which I could well imagine Pat Benatar recording at the time, just so much better. March Of Time with processional pulse, heraldic horns and great themes really should have followed Rochester Collage. Even the title, Don’t Fly Away seems somewhat anachronistic given the subject matter and period covered – a song that might have sat more comfortably in Walt Disney’s The Lion King. And this chalk and cheese formula continues with Isabella, a strong, infectious instrumental with some fine melodic themic soloing. The mould is broken however as one strong track is followed by another, this time around the title tune and the delicate, but brief Softsword. The album concludes on a high note with beefed up Hymn Of Hope, and sees Rick the opportunity to return to more ‘traditional’ synth and organ sounds. As with the recent Esoteric Recordings reissue of Keith Emerson – Changing States, Softsword sees the discarding of the rather dated original artwork and re-designed by Oliver Wakeman. My early misgivings were somewhat upheld and although Softsword has many worthy moments, as a whole the album remains a little one dimensional. Even Esoteric Recordings’ customary fine re-mastering skills haven’t managed to raise this album to the levels of Rick’s 70s output. 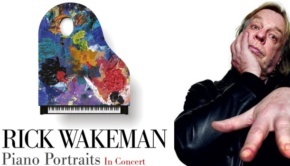 This said and having recently reviewed the Rick Wakeman – Live In Lugano DVD and thinking back to The King Arthur Suite, I did ponder the idea that with Rick Wakeman and prog in general undergoing a favourable renaissance, that it would be nice to see Softsword taken from this ‘work in progress’ format and given the full treatment, albeit without some of the material. Certainly one of Rick’s customary re-workings including Magna Charter, Battle Sonata, The Siege, Rochester Collage, March Of Time, Isabella, Softsword and Hymn Of Hope would be well received.